Delicious bites of salmon fillet in a perfectly crispy crumb flavoured with chilli and lime. 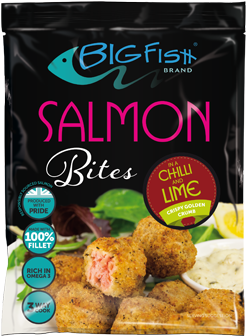 Our Salmon Bites are made with premium salmon fillet and coated in a great tasting crispy crumb, here flavoured with Chilli and Lime. The bites cook straight from frozen in minutes (oven, grill or fry) and they're ideal for lunches, midweek meals or fast suppers. 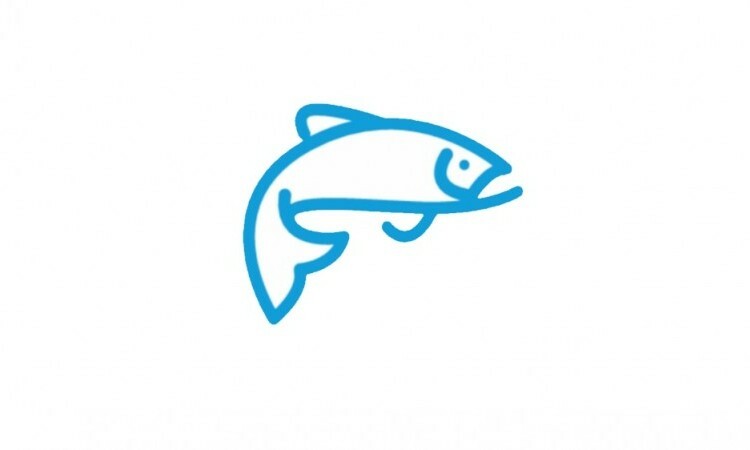 And of course, being made with salmon they're also rich in healthy Omega3. Oven or Grill Preheat the oven to 220°C/200°C for fan or Gas Mark 7. Remove all packaging and place the bites on a preheated baking tray in the centre of the oven. Bake for 14 minutes and turn half way through cooking for a crisp and golden crumb. Fry Preheat the oil to 180°C and place bites in to a frying basket before lowering into the oil. Fry the bites for 4 minutes until golden and crisp before removing and leaving to stand for 1 minute to allow excess oil to drain before serving. (Add an extra minute to the cooking time for a crisper eat). Salmon (Salmo salar) (fish) 50%, Breadcrumb 50% (Wheat) (Wheat flour (Calcium Carbonate, Iron, Niacin, Thiamin), Salt, Yeast), Sugar, Salt, Dried Onion, Acids (Citric Acid, Malic Acid), Spices (Cracked Red Chilli (2%), Cayenne), Dried Parsely, Dried Green Bell Peppers, Yeast Extract, Dried Garlic, Natural Flavouring, Colours (Paprika Extract, Curcumin), Water, Rapeseed Oil.